Anesthesia is used to block pain signals from traveling through your nervous system. The anesthesia you receive depends on your condition and the procedure (operation) involved. When faced with the possibility of surgery, the odds are fairly high that you are going to need some type of anesthesia. There are many different types of anesthesia and depending on the type of surgery you need this will determine the type of anesthesia you will need. Some surgical procedures require only an injection of local anesthesia into the incision area. Still there are other procedures that simply cannot be performed unless you are completely anesthetized which means you are completely unconscious and unaware of pain. This is something your anesthesiologist (M.D.) will go over with you and determine the best anesthesia in your case. THE ANESTHSIOLOGIST: An anesthesiologist is a specialized M.D. This is a doctor who completed college, medical school, an internship and a three-year anesthesiology residency. An anesthesiologist is a physician who specializes in anesthetic administration, pain relief, and the care of patients before, during, and after surgery. The anesthesiologist monitors vital organ functions including heart rate, blood pressure, breathing, and blood-oxygen saturation during surgery. SEDATION ANESTHESIA: Medications can be administered through a vein to relieve pain and anxiety that make you feel calm. These medications may also interfere with memory formation, so you may not remember events that occur while you are sedated, even though you remain awake throughout the procedure. Sedation anesthesia may be given along with other forms of anesthesia. LOCAL ANESTHESIA: This form is used to numb a small part of your body, blocking pain signals from being sent through your body, but allowing you to remain fully alert. Typically, local anesthesia is used for minor procedures, such as dental work, skin biopsies or stitching a cut. Local anesthetics are generally short-lived and come in different forms, including sprays, ointments and injections. REGIONAL ANESTHESIA: This form of anesthesia is used to block sensation in a particular region of your body. The anesthetic is injected around a single nerve or a larger network of nerves that branches out and serves that area, keeping pain signals from reaching your brain. Intravenous (IV) sedation also may be used to relax you and make you feel fairly sleepy, though you remain conscious. SPINAL, EPIDURAL AND CAUDAL ANESTHESIA: Spinal, epidural and caudal anesthesia involve injecting an anesthetic into or near the spinal fluid, effectively numbing nerves that serve the lower half of your body. They're often used for pelvic operations and lower extremity surgeries. GENERAL ANESTHESIA: This form of anesthesia is appropriate for more extensive surgeries for which the other types of anesthesia aren't feasible. 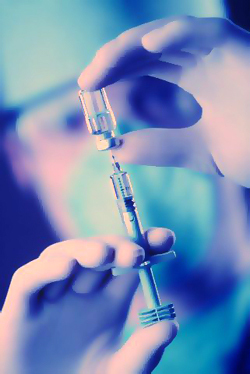 The drugs used in general anesthesia are given intravenously or are inhaled. They act as hypnotics, painkillers and muscle relaxants, and they block your memory of the surgery. Because you're unconscious, your brain doesn't perceive any pain signals. Your age, health and the surgery you're having determine the types of drugs you receive. Any medical problems you have or might have needs to be discussed with both your surgeon and anesthesiologist. Example: heart, respiratory, kidney and endocrine conditions such as diabetes — need to be thoroughly communicated. Do not hold back any information from your doctors. It all matters! Your doctors need to know any and all medications that you are taking. This is to avoid potentially dangerous drug interactions; therefore it is very important to list all of the medications you take or have taken recently, as well as any dietary supplements or herbal products you may be using. It all matters! Your doctors need to know whether you smoke or consume alcohol. Smoking or alcohol consumption can influence the way an anesthetic works in your body during surgery. Knowing whether you smoke or drink alcohol allows your anesthesiologist to choose anesthetics that are better suited to your condition. It all matters! Tell your doctors if you have any known allergies to food or medications. Some anesthetics include components of certain foods, such as albumin from eggs. Discussing food and drug allergies before surgery helps your anesthesiologist make important drug choices necessary for your surgical procedure. It all matters! Tell your doctors if you have had any previous experience with anesthesia that may have been difficult or even unpleasant. There are newer drugs and different techniques that have taken away many difficult and unpleasant side effects from anesthesia, such as nausea and vomiting. These can now be avoided. It all matters! Your doctors need to know any adverse reactions to anesthesia by other family members. Although rare, adverse reactions to certain anesthetics can run in families. If someone in your family has had a serious reaction to anesthesia, you also may be at risk. Tell your doctors so that he or she can use different anesthetics that are less likely to trigger an adverse reaction. It all matters! The doctors need to know when you last ate. The risks of anesthesia are greater if there is food in your stomach. Small amounts of water or black coffee may be safe, but this needs to be discussed with your doctors as to allow a sufficient amount of time before your procedure. Discuss this with your anesthesia provider or surgeon. It all matters! After any procedure requiring general anesthesia, the anesthesiologist essentially reverses the effects of the anesthesia. As you begin to regain consciousness, you will be carefully monitored by your anesthesiologist (Medical Doctor) and nurse anesthetists (CRNA - Certified Registered Nurse Anesthetist) who are skilled in postoperative management. If you are experiencing pain at this point in your recovery, tell your anesthesia team and ask for something to relieve your pain. Bearing excessive pain can be dangerous, therefore it is important to tell your doctor. Regional anesthesia has been increasingly used to control postoperative pain, which, in turn, reduces your need for other pain medications that might leave you feeling groggy or nauseated. Local anesthetics also can help after surgery. They are especially useful in reducing the pain surrounding an incision. Experience with anesthesia is different for everyone. Advances in this area of medicine make it safer than in the past and now anesthesia can be tailored to suit your specific needs.